Published January 1, 2018 at 1000 × 756 in PORTFOLIO. Shoe Box. 2017. 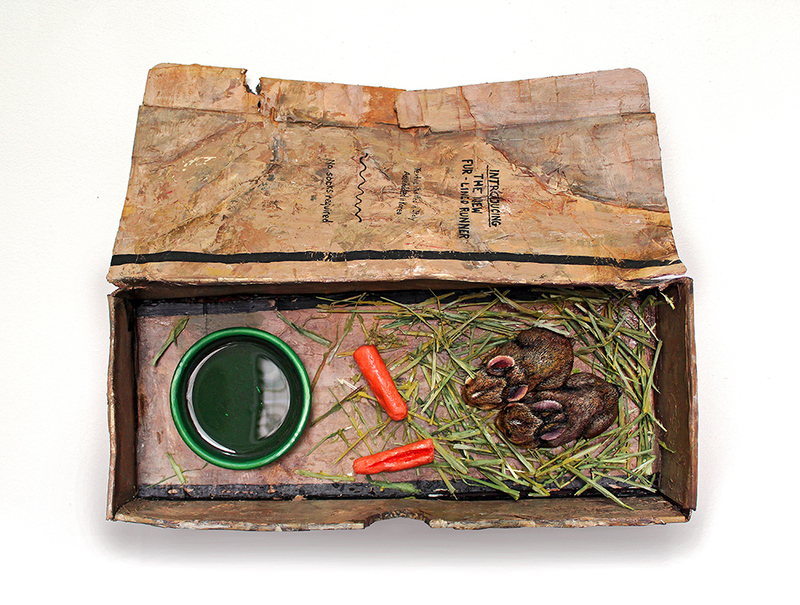 Cardboard, acrylic, sculpey, ceramic, hay, resin. 13.5×11.5×4.